The GB Smart Metering Implementation Programme (SMIP) will help users manage their energy consumption and reduce carbon emissions. 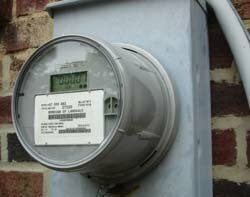 A new company will be set up to manage the data that smart meters send and receive. The central data and communications company (DCC), as it is known, will require services from IT and communication service providers. The government department will begin procurement even before the customer company is established. "In advance of the appointment of the DCC, it is intended that DECC would initiate the process for procurement of the data and communication services that will be contracted to DCC," said the DECC notice. "We are interested to hear from parties who wish to be considered for the data and communications service provision contracts or that have an interest in the SMIP so that we may include those parties in the circulation of information about the SMIP and seek input in a number of areas in order to inform the process for procurement of the services." "The roll-out of smart meters will play an important role in Great Britain's transition to a low-carbon economy, and help us meet some of the long-term challenges we face in ensuring an affordable, secure and sustainable energy supply," according to the DECC.